Well, despite the winter we experienced, summer is just around the corner, only a few weeks away. It’s hard to imagine warm weather as the Smokey Mountain National Park just a few miles away from me had snow the first week of May. As we all know with summer, warmer temperatures are inevitable, and if you’re like me and live in the south, summer means much warmer temperatures and humidity—lots and lots of humidity. I remember sitting on my parents’ front porch in late afternoon during the dog days of summer and seeing the actual humidity in the air, almost like a fog. This can be a rough time for people, other pets, and especially chickens. Heat affects our chickens and that means there are steps that can be taken to mitigate this and keep them healthy and as happy as a chicken can be. First, I would like to briefly discuss the thermoneutral zone (TNZ). The TNZ is the ambient temperature at which an animal is neither hot nor cold, like being in a room and neither sweating nor shivering. At different ages, this zone can be drastically different. Take a day old chick, for example: Its TNZ is going to be somewhere in the mid- to lower-90°s F., while a mature rooster might be in the 65° to 75° F. range. When a chicken is in the TNZ, it is not having to alter its basic metabolic rate or behavior to maintain body temperature. What does this mean? In short, if a chicken is cold it must increase its metabolism to produce heat. It might huddle, drawing itself together and trying to trap body heat under its feathers or shiver. 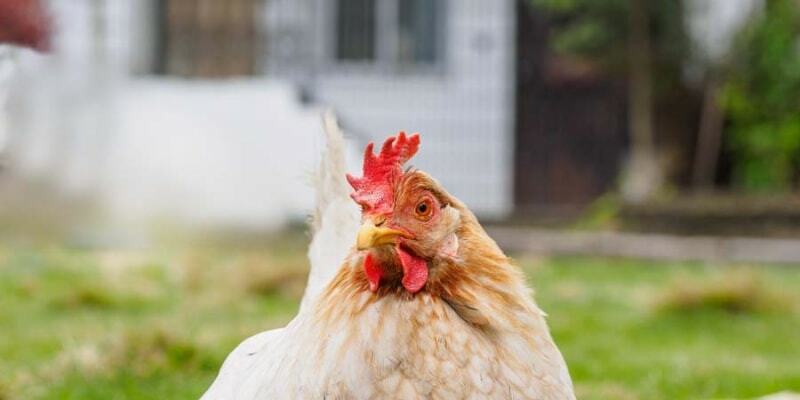 Conversely, a chicken experiencing overheating will lower its metabolism, it will pant (gular flutter) and will spread its wings out to release body heat. Panting will release significant amounts of body water into the air, eventually causing dehydration and pH imbalance. Slight, short deviations from the TNZ will have little to no effect on a chicken. 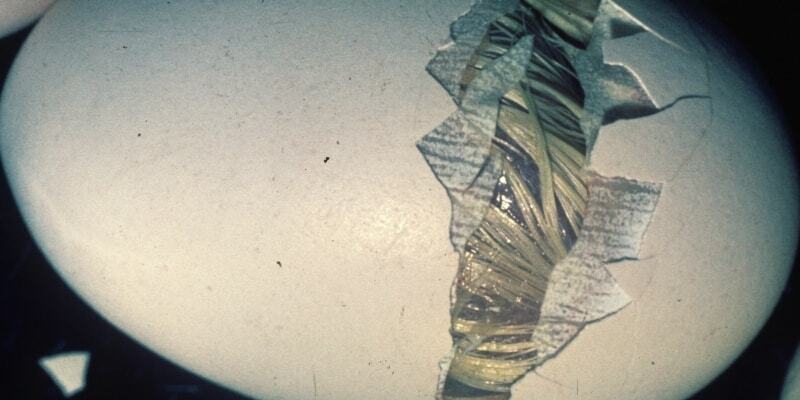 Prolonged excursions into the zone can have disastrous effects including reduced hatchability, egg shell quality, egg production, feed conversion, growth rates, and—if exposed long enough—death. Secondly, let’s look at what happens to production as ambient air temperature rises. (These temperatures are for a large mature bird and will vary depending on several factors, so just use these as a reference point or example.) For this example, we will say the chicken’s ideal temperature is between 65° and 75° F. Between 75° and 85° F. we can notice a decrease in feed consumption, egg size, and shell quality may suffer. At 85° to 90° F. feed consumption falls even further, wand eight gain is significantly lower. We will see a decrease in egg production. At this point some sort of cooling mechanism should be used. As temperatures continue to rise closer to 100° F egg production and feed consumption will be severely reduced, while water consumption will be extremely high. We can also see heat prostration or heat exhaustion. Air temperatures above 100° F are extremely dangerous, at this point emergency measures may be needed and survival is the major concern at this time. A chicken loses body heat through four different ways; radiation, conduction, convection and evaporation. When a chicken is in the TNZ, it dissipates heat through the first three methods listed. 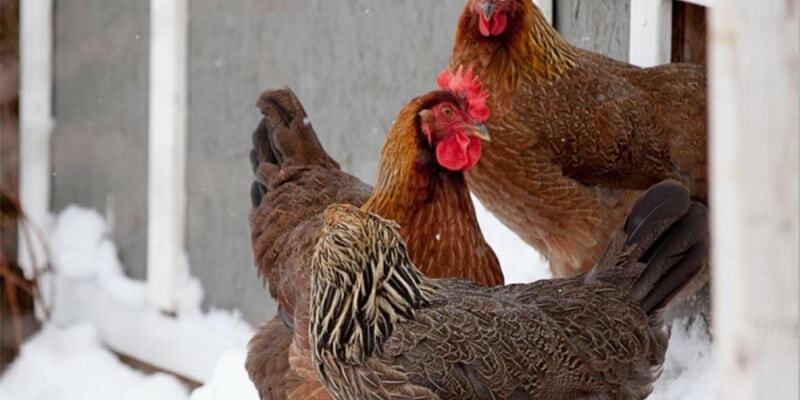 Chickens will lose heat from the comb, wattles and other non-feathered areas (i.e. under the wings). This is known as sensible heat loss, and the bird does not have to alter is normal behavior. Once air or ambient temperatures start to increase, heat loss shifts from sensible to evaporative. As birds do not sweat they pant (gular flutter) to produce effects of evaporative cooling. As the bird pants, heat is removed by the evaporation of water. The downside to this is that the bird is eliminating water from its body. During panting the bird also releases substantial amounts of CO2, so much so that prolonged periods of panting can lead to loss of electrolyte balance and a basic or alkalotic body pH. A change in blood pH of only a few tenths of a point can be fatal. Now, let’s look at the ways we can mitigate heat stress. First and foremost, you must have good, clean, cool water available at all times. Water should be kept out of the sun, in a cool place. Warmer water will be less effective in cooling the chickens and can lead to a rapid buildup of fungi, mold, bacteria and other microbes. Cooler water temperature can remove some body heat, and any moisture loss due to panting must be replaced. As panting will change the electrolyte balance, electrolyte solutions can be added to the drinking water to help mitigate some of this loss. The added electrolytes will replace the ones that have been lost and restore pH balance. Much in the same way a dehydrated person should be given some sort of salt (potato chips, or salt added to their water) and water Addition of electrolytes will also stimulate water consumption. Chickens should also be fed during the cooler parts of the day, such as very early in the morning. 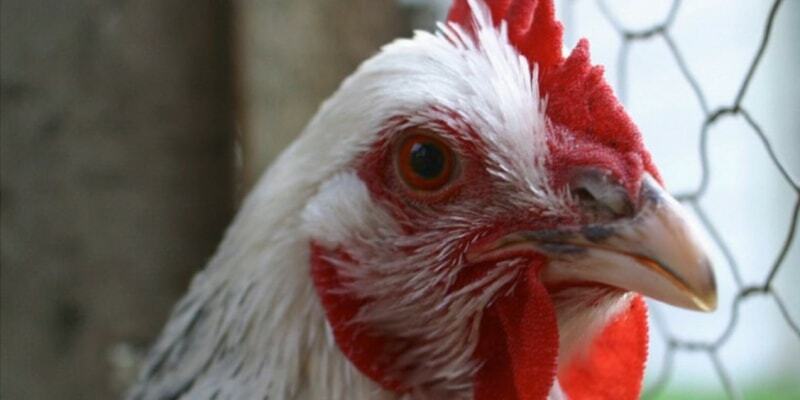 When chickens digest feed, their metabolism increases, produces heat and therefore increases their body temperature. Also you will want to check the roof of your coop. Is it bright and shiny or dull? A bright shiny roof will reflect several times more sunlight and heat than a dull or dusty roof and lower coop temperature by several degrees. Remove litter on a regular basis, decomposition of built up litter can produce heat. Litter in a house will compost at some level and as we know the microbial processes of decomposition produces heat. Removal of litter will also reduce moisture in the coop, potentially lowering relative humidity. Plant grass around the house, as grass can absorb heat from the sun, whereas bare ground can actually reflect heat into the house. Another source of reducing heat—and possibly the greatest—is through proper ventilation. The best and most effective method of cooling poultry houses is through air movement and wind-chill. Air movement will remove hotter, moister air from the house and replace it with cooler drier air. Hot air will collect and stagnate in the house. As birds breathe, excrete waste, and water evaporates from the drinkers (if using an open bell-type drinker) the relative humidity in the house will increase, making the temperature feel even warmer and reducing the effectiveness of panting. A proper ventilation system will remove hot air and humidity. Creating moving air can be done in two ways; natural or artificial. For natural ventilation and air movement, we will be using the prevailing winds of the area to move air in and out of the house. To do this requires a little planning ahead. Thinking about your farm, which way does the wind typically blow? Does it blow west to east or north to south or any other direction? Once you know the direction, your house can be oriented to allow for maximum air flow. You will want to install windows on the sides with the prevailing winds and on the opposite side of the house. For instance, if the wind blows primarily west to east, you would want to install windows on the west and east sides. Artificial ventilation would require installing fans to pull or push air through the house, and would be somewhat impractical for small coops. If going this route your best option would be a window fan that would help pull air through the coop. You can also mount a wind turbine on the roof of the house, when the wind is blowing these can generate a significant amount of air flow. The final question to ponder is how much ventilation or air flow do I need? Well, probably more than you think. For winds below 5 mph, there is really no felt difference, but a 10 mph wind velocity can decrease temperature by about 10° F. According to the Beaufort wind force scale, used to measure wind speeds, a 10 mph velocity would be considered a gentle breeze—small flags will be extended and leaves will rustle. The inside of a chicken coop can build up massive amounts of heat, moisture and ammonia throughout the day. A few holes in the walls will not suffice. Openings should be at least 1’ x 3’ to allow for sufficient amount of air movement. To wrap things up, even though its summer and temperatures are on the rise there are some very easy and effective ways to help your chickens manage their body temperatures. Remember, the key is keeping your chickens in their TNZ. Keep them comfortable and you will reduce stress and increase productivity and health of your flock. Dr. Zac Williams’ current role is poultry science instructor at Tennessee Technological University. He currently serves as poultry specialist for the state of Tennessee, addressing problems and educating farmers of both large- and small-scale poultry. He has also laid the groundwork for the new poultry science program and research center at the university.